In 2002 this outdated human medical office was renovated to provide modern features found in most state of the art animal hospitals. The treatment area is a spacious, busy, cheerful environment where ICU and critically ill patients are under observation by the medical team all day long, as are recovering surgical patients for the protection of our clients and their loved ones. The facility meets and exceeds specific standards set by our profession. Equipment is maintained by staff who are trained for such maintenance (i.e. Anesthesia, radiology, diagnostic and laboratory equipment). Proper patient medical record-keeping through a paperless system, safe drug storage, medical reference library and an orderly and sanitary premises translate into the highest standards of care. 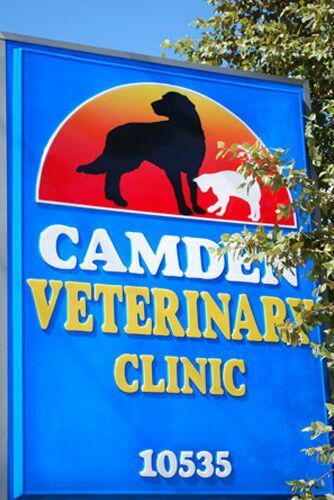 These values enable Camden Veterinary Clinic to project the best possible outcome and experience for all. Meeting these standards can require significant investments of time and expense. Virtual Tour of Our Facility. Please take a look at our website. 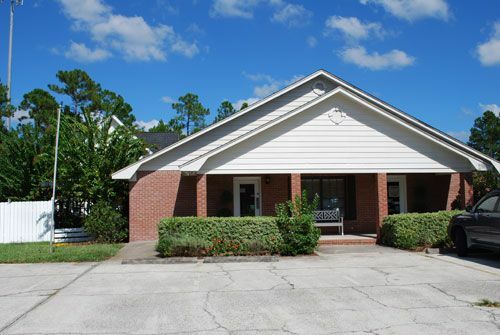 Many of the services we provide are included along with information about our doctors and administrative staff.